For over 40 years now Luciano Dall’Aglio has been getting up early in the morning to collect milk with his tank truck from 3 milk producers, all very close to the dairy. 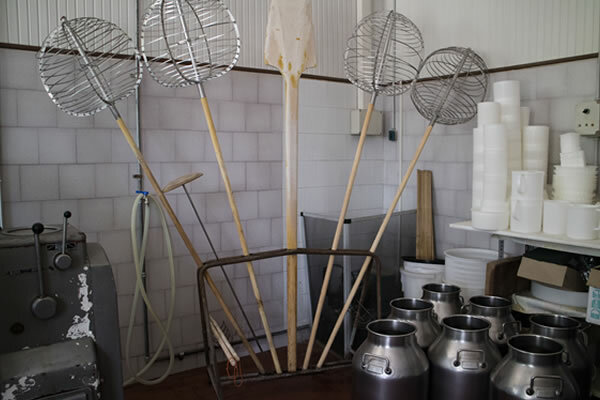 With the 2 tonnes of milk he collects, he produces 4 wheels of Grana Padano a day, plus a few wheels of caciotta cheese, in his dairy located in Bacedasco Basso, in the Province of Piacenza. This milk comes from cows fed exclusively on hay permitted under the Production Specifications, without any maize silage. 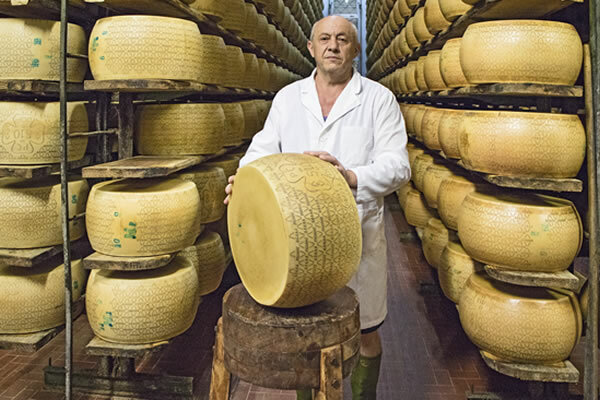 Although Luciano only produces 4 wheels of Grana Padano a day, his alarm clock still goes off very early (at 4 o' clock sharp) and his working days are long, intensive and driven by great passion. His father was especially thrilled; he was pleased to see that one of his children would carry on doing the same job he did, which was a family tradition, since his bothers were cheesemakers too. Luciano tells us that when he when he finished his compulsory schooling at the age of 14, he devoted himself completely to the dairy. He would have liked to get a secondary school diploma but at the time his father was not in good health, so he felt he had to give up school and start working full time. His father passed on to him all the secrets of the art of cheesemaking but Luciano's great passion and drive made him want to experiment and change a few things. 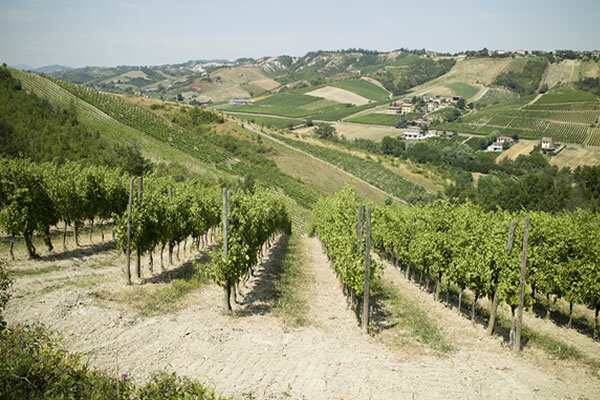 One of his uncles worked at a dairy in nearby Parma, and it was natural for Luciano to want to apply his techniques to Grana Padano production, avoiding the use of lysozyme, a natural protein extracted from chicken eggs. Lucio runs this small dairy alongside his brother-in-law Antonio, and sister Luciana. 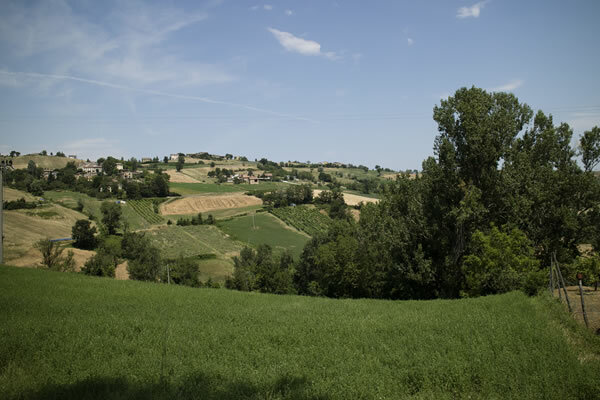 The cheese produced here is aged in the nearby ageing storehouse and is then sold to restaurants in the Parma and Piacenza areas, to wine shops and specialist food shops, and some wheels are also sent abroad, to France, Britain and Holland. They also sell directly to the public through the dairy shop where the customers are given detailed explanations of how the cheese is produced and its particular characteristics. In addition to cheese production, the family runs a pig farm. There are actually 3 production sites near the dairy, where 3,000 pigs are reared from a young age, in compliance with the Piacenza area PDO requirements for the production of coppa, salami and pancetta. Luciano hopes to continue with this work for many years to come and that his children will decide to continue the family tradition.